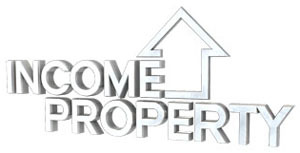 In this series we will approach several aspects of a property investment scientifically. Most of us are emotionally attached to a property. None discipline in our financial decisions may result in loss of capital or loss of opportunity. This series is meant to help you get to the most financially viable choice when sentiment interferes. You own a property which you have been holding onto for a few years enjoying descent stable returns. People usually calculate their ROI (Return on investment) and stick to it as a main KPI. A fact to observe is that the property value may have risen or dropped. In such a situation and unless the property value stays the same, calculating the return based on the original property value would not allow you a fine assessment of your investment’s current standing position. Return on Equity (ROE) in case the property is mortgaged. Net operating Income (NOI) in case the property is purchased by cash. We purchase a property for 1 million USD paid for in cash. If the property earns 70,000 USD annually after costs, your ROI is 7%. If we asses other property’s ROIs in the same market and area and find it standing at 6 to 8%. We decide that we should hold on to the property as it’s earning potential is in line with the market. If the property gained a 50% value between the date of initial investment and the time of assessment, although your ROI may stand at 7% your Net operating income would have dropped to around 4%. Let’s take another example to create a better common understanding. We purchased a property for 1 million USD, leveraged 750,000 USD and paid a 250,000 USD in cash. The property rents for 70,000 USD annually. If after paying all costs including mortgage we are left with 25,000 USD our return on equity would be 10%. It is definitely true that the property price may still have appreciated which will lead us to have a smaller return based on the current value of the share paid for by cash, however there are many factors that affect this scenario similar to the quality of leveraging used, the availability of other similar quality financing. Evaluating a property based on the right KPIs will give us the right scientific approach to making more sense of a property investment.